Econ Power Trader is a news straddle trader. It strategically identifies high impact news for any given day, then will utilize pending orders above and below the current price action. After the pending orders have been open – the high impact news event will typically happen seconds later. If the result of the news is practically no movement in the market, then the trades will promptly be closed by the system to prevent a trigger of the pending orders into unpredictable trades that can go in any direction – we don’t want that. Now let’s say the trades do open into active trades because of a strong movement in the market due to high impact news. The next step is for Econ Power Trader to intelligently manage the trades using its creative technology. The system is designed to outsmart your broker and outsmart the market. There are a few tools built in to help you keep your profit instead of give it up like other systems. Tight stop loss usually no higher than 15 pips to 20 pips on average. The take profit usually can go as high as 100 pips or more. Double trailing stop protection: stop loss will be moved up to lock in profits, but just in case broker fails to accept stop loss adjustments, the system will always intervene, and close trades automatically based on trailing stop. 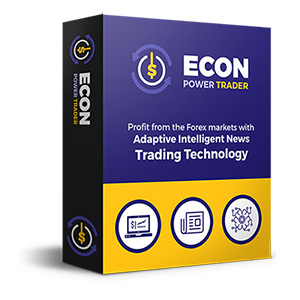 This makes Econ Power Trader one of the safest systems available on the market. The Iron-Clad 30 Day Money Back Guarantee. If for any reason you find that it’s not a good fit for you – then send us a quick email and let us know, and we’ll refund you right away.